Add this high quality Multy Home Tracker runner to your home for an instant splash of style. Keep it classy, quality, and stylish with this indoor rug made from plush synthetic material. This quality rug is prepared to withstand foot traffic and furniture. The solid pattern on this brown rug is very modern and stylish. Improve the overall interior design of your living room, dining room, or hallway with this Artistic Weavers Sablet runner. Contemporary dicor is made simple with this indoor piece, made of plush wool material. Contemporary comfort comes in the form of this hand-made rug. This geometric patterned brown rug makes a bold statement in your hallway, dining room, or even living room. 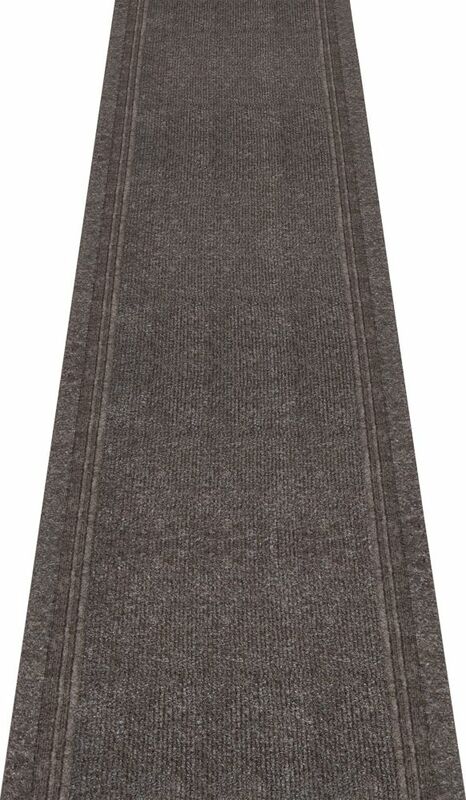 Tracker Brown 2 ft. 2-inch x Custom Length Indoor Contemporary Runner Add this high quality Multy Home Tracker runner to your home for an instant splash of style. Keep it classy, quality, and stylish with this indoor rug made from plush synthetic material. This quality rug is prepared to withstand foot traffic and furniture. The solid pattern on this brown rug is very modern and stylish.